Let me tell you how I ended up in a place where anyone and everyone who shows up to a class can take part fully and gracefully and where no one ever feels left out or singled out so that perhaps you can head that direction too. It is widely stated that yoga practices are for everyone. Since becoming a teacher I have said those words plenty of times, but in retrospect, despite my best intentions those statements weren’t entirely true. 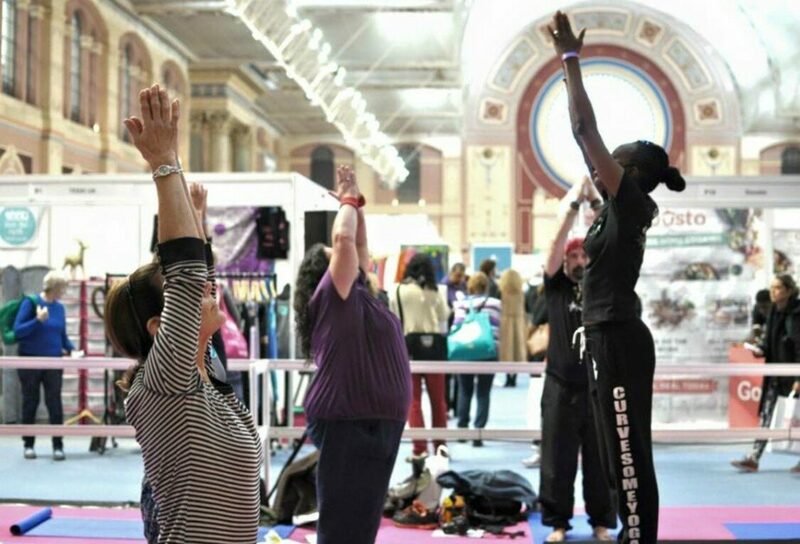 I’ve frequently discussed the injuries I sustained in relation to practising yoga publicly. Those injuries were the catalyst for changes in my practice and teaching. I looked out at the broad landscape and realised how many people were not able to take my classes or to participate fully. I realised that the inability to perform what we might consider relatively small or insignificant poses or transitions often left students feeling defeated or like they were to blame. I began to tune in to this running internal frequency that collectively inhabits group classes everywhere: the same sentiment shared weekly in the workshops and trainings that I lead around the world. The collective sense of relief I witness when this issue is acknowledged is the fuel that keeps my fire for change alive. I have a favourite metaphor that has allowed me to figure out why classes aren’t as inclusive or sustainable as we say they are, and to develop ways to shift the teaching methods and so that the outcome of my classes congruently and faithfully align with the promises that are made in relation to a yoga practice and group yoga classes. Visitors to the building are meant to learn about yoga while visiting the yoga sky scraper by taking a tour of the building. Groups enter the building together and explore their own individual relationship to the interior with the rest of the group (yoga classes). Visitors are guided through the building’s many halls and atriums, rooms and alcoves; all its features in order to learn what yoga is all about via their direct experience with the building and its contents. Visitors are guided by the yoga sky scraper group experience tour guide (yoga teacher). The tour guide moves visitors through the building in a logical order and explains the possibilities and potential that each feature contains. The guide is meant to give the visitors enough information about each of the building’s floors, rooms, and features so that they are prepared and paying attention when they’re interacting with the building so as to have a beneficial experience. The tour guides are also meant to help visitors navigate how to move from floor to floor and room to room and how to know if they’re ready to potentially see a new part of the building. Lastly, the tour guide is there to give enough information so that the visitors feel secure, but not so much that they’re overwhelmed, making sure that everyone in each group is able to participate and that no one falls down the stairs, gets lost, or left out. Currently though, the yoga sky scraper’s structure has some problems that make it pretty exclusionary, as well as precarious, making it hard on visitors and guides alike. The building contains some engineering problems that have caused the city building inspectors to be concerned, stating that the building isn’t very sound or sustainable and doesn’t meet the requirements for large groups or people with special circumstances. Elevators and ramps are missing, doors aren’t wide enough or ceilings high enough. The tour guide’s job feels daunting because of the building’s potential danger. Some people have been able to navigate the building without too much issue so they’ve regularly visited the building for years, and yet despite their ability to access almost the entire structure, some of them have begun to realise that the building is a bit shaky. But no matter how hard some people try, no matter how patient or diligent they are, and no matter how closely they follow the tour guide’s instructions and advice, they still can’t access any area of the building but the lobby and ground floor. They can only enjoy a fraction of the contents and feel like they’re wasting their efforts exploring. The tour guides are trying hard to offer an experience to everyone who comes to visit the building, but sometimes they just can’t help people get up the stairs, or through the narrow corridors no matter how hard the try. They’ve tried following the recommendations of management and their predecessors but to they still can’t accommodate all of the visitors. The tour guides really want everyone to be able to enjoy the full extent of the structure and its possibilities. They badly want to be able to guide each and every visitor wisely, but sometimes they feel stuck and that they just can’t get the formula quite right. They can even feel like they’re not doing a good job because so many can’t visit the building or enjoy the entirety of it. More often than not though, it’s not the tour guide’s fault. There’s a solution though, and it really just means shifting the priorities we place on things. We need to remember what and who the yoga sky scraper was built for: to teach yoga to anyone who wanted to participate in a class in a sustainable fashion. If that’s the universal set of priorities then we need to make sure that it’s built with those intentions as the foundation and that they are considered regularly. If tree pose is a feature in the yoga sky scraper that everyone is meant to interact with, then all we have to do is look at tree for its universal potentials. To me, it’s a pose that has more weight in one foot than the other and several possible arm configurations. So tree pose performed in the way it’s currently depicted is just one way to do it, but of no more value than any of the other potential trees. A tree with the universal experience of more weight in one foot means that the foot on the inner thigh, calf, floor, on a chair with a foot lifted, or laying down with one foot pressed into the wall, or seated with more weight in one foot than the other are all the same! Classes can still be physically demanding, they can still flow and move, and they can still be fun, it’s just a matter of adapting the priorities so that we lead with the ones that we promised upfront, delivering those aspects that are the most universal and broadly accessible. I’ve found that working this way allows me to teach students about yoga’s philosophy and purpose and a student’s relationship to it much more clearly and personally. This is how I ended up teaching inclusive, individual practices in a group setting, where no matter who attends, they’ll be able to get what they showed up for and to participate on a level playing field full of acceptance and compassion and growth. You can do it too. I’ll happily show you how. *Other barriers to entering exist, such as financial constraints and social obstacles. This piece acknowledges those issues as ones that need to be looked at as well. Click here to learn more about Alexandria Crow’s upcoming workshops focused on inclusive practice and teaching techniques, 29th March – 02nd April at triyoga Camden.